Every year the UK throws away 15 million tonnes of food and drink, half of which was perfectly edible when thrown away. Over a million people now rely on food handouts and Food Banks. 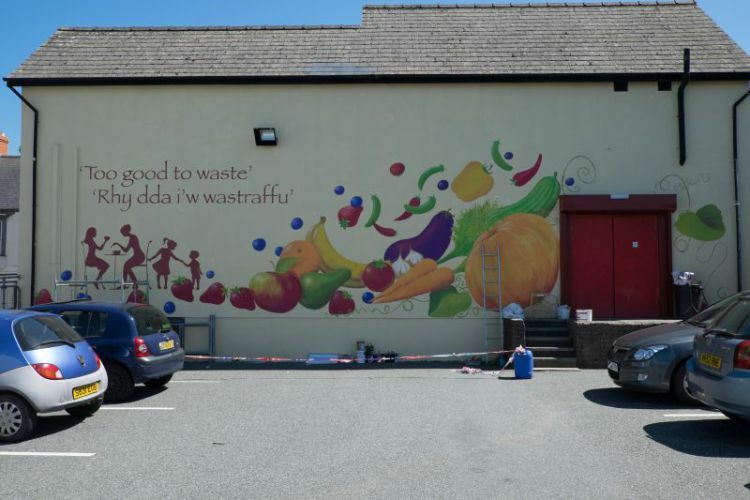 2 members of Transition Bro Gwaun (TBG) were visiting local shops looking for food waste to feed pigs, and realised how much perfectly good food was being thrown away, and that that presented a huge opportunity. Their beautiful video, above, made especially by Nick Swannell of 49media for our ’21 Stories of Transition’series, tells the story of what happened next, and of what they created. “Our surplus food project is more than just a way of reducing food waste. 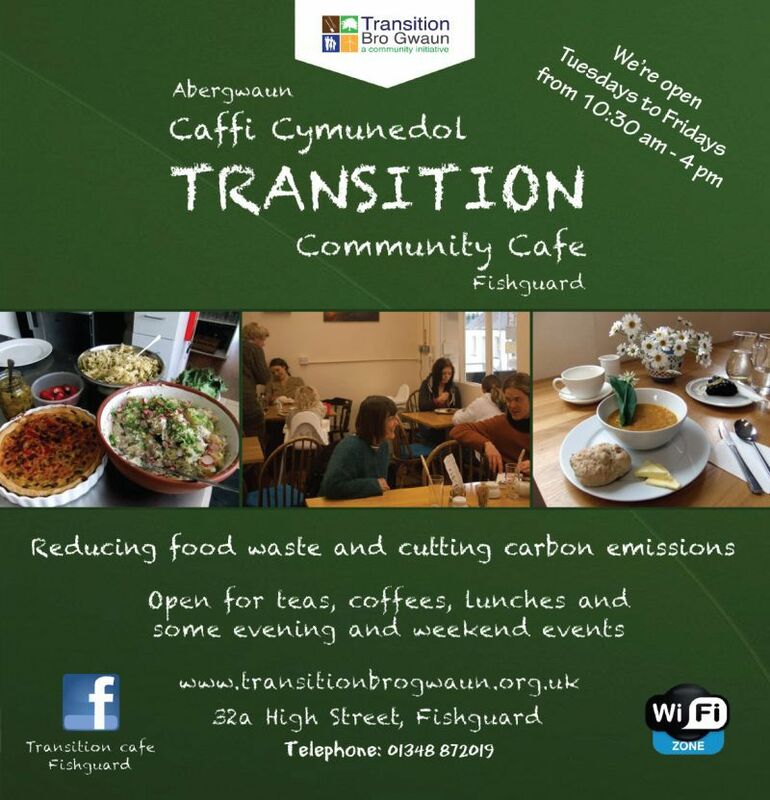 It’s an experiment – an attempt to put carbon reduction, sustainability and community resilience at the heart of a social enterprise and to make it a viable business suitable for a low growth, sustainable society”. makes carbon savings of 21 tonnes per year. "If world leaders came to the cafe for a visit, we’d show them all the entries in our Visitors’ Book which tell how excited people get about what we’re doing – how a simple, small, community project can be so effective in changing attitudes, modelling a new approach and enthusing people to do something similar – and that people think there should be lots more initiatives like ours".